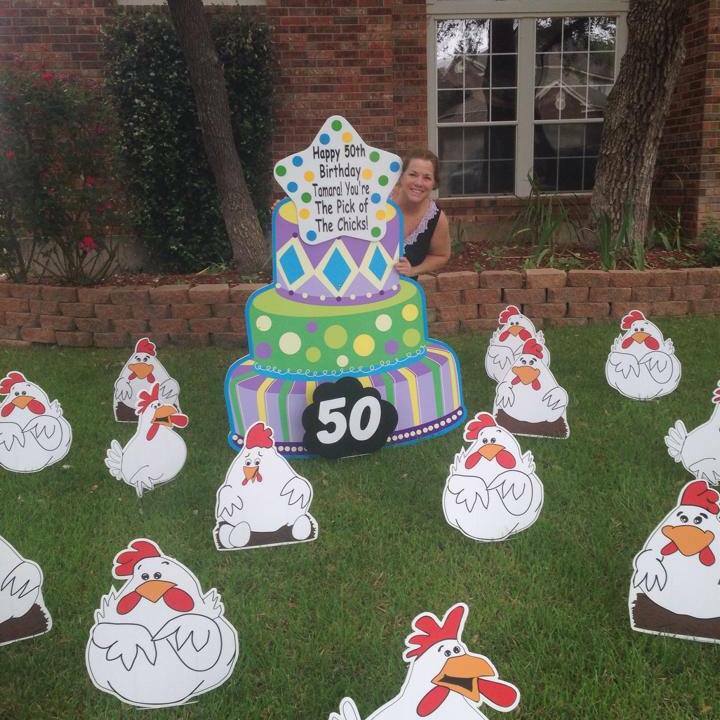 Tamara’s the Pick of the Chicks on her 50th Birthday! Have Fun! 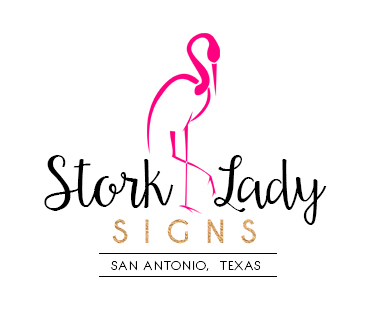 is an all occasion lawn greetings service in the greater San Antonio, Texas area. We help you celebrate Birthdays, Anniversaries, Graduation, Mother’s Day, Valentine’s Day and all occasions! We happily serve Alamo Heights, Alamo Ranch, Castle Hills, Converse, Fort Sam Houston, Lackland Air Force Base, Leon Valley, Lincoln Heights, Live Oak, Universal City, Hollywood Park, Kirby, Olmos Park, Randolph Air Force Base, Shavano Park, Stone Oak, Terrell Hills, The Great Northwest, Windcrest, Garden Ridge, Helotes, Edgewood, Boerne, New Braunfels, Rio Medina and more. 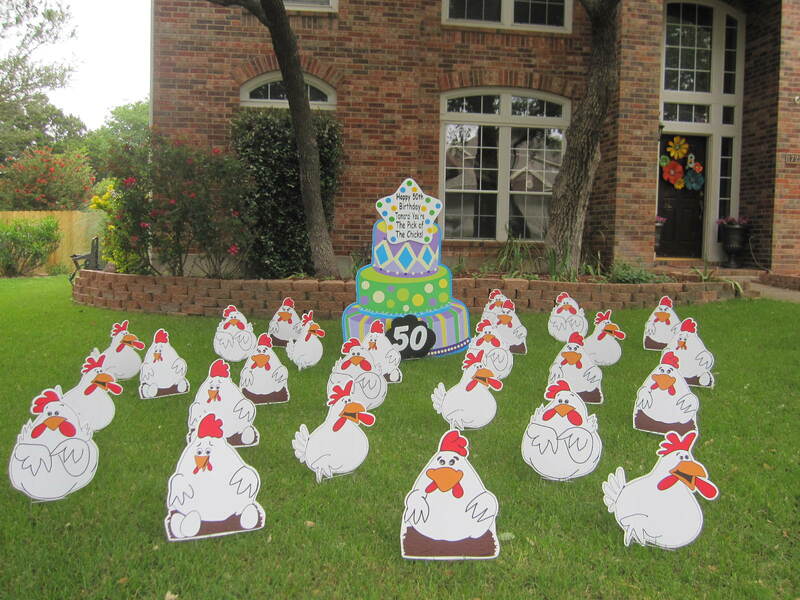 Call us at 210-601-7351 to rent a lawn greetings sign to celebrate any fun occasion! Please visit our page to see our most recent rentals.